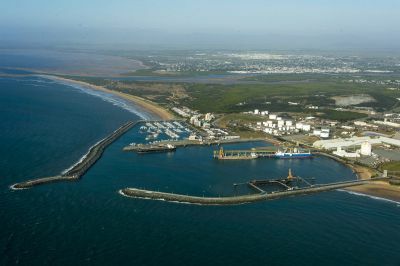 The Port of Mackay is a leading service centre for the Bowen and Galilee Basins and the Mackay, Whitsunday and Central Highland regions of Queensland. 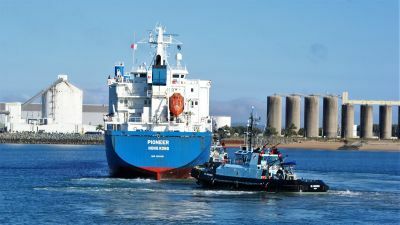 The major imports and exports traded through Port of Mackay include fuel, raw sugar, refined sugar, grain, magnetite, fertiliser, scrap metal, ethanol, tallow and break-bulk cargo. Land areas around the port accommodate more than 50 industrial and commercial businesses, and substantial areas of vacant land are available for development. The port’s proximity to mines in the Bowen and Galilee coal basins, as well as other major regional infrastructure projects and agricultural enterprises, position it as an ideal transport supply-chain partner. The port has implemented initiatives to further support and strengthen the customer experience and aims to continue expanding trade opportunities with projects such as wharf access improvements and establishment of laydown areas near wharves, for example. With its proximity to one of Australia’s premier mining and agricultural regions and nearby to the country’s leading mining equipment technology and services (METS) hub at Paget, the Port of Mackay is set to grow its current three million tonnes per year trade throughput. The Port of Mackay’s infrastructure features a heavy lift wharf, berths that can handle bulk liquid and materials, general and break bulk cargo and containers, a quarantine approved wash-down facility and a licensed Customs depot. The port has capacity for 550 to 600 trading ships per year but currently only services around 190 ships per year. the largest regional importer of magnetite in Queensland, importing 150,000 tonnes per year. The port consists of four wharves within a harbour sheltered by breakwaters. The wharves support the following commodities. one molasses bladder that can hold 50,000 tonnes. proximity to existing and future major regional development projects. Mackay enables businesses to capitalise on trade opportunities, as it offers the Whitsundays, Central Highlands and coal fields regions a primary link to the rest of the world through its multi-commodity handling port capabilities. The port sits five kilometres north of the city of Mackay – which falls about halfway between Brisbane and Cairns. Its proximity to the Mackay city centre and Australia’s leading mining, equipment, technology and services (METS) hub in Paget make the port an ideal partner in an integrated transport supply chain solution for your trade needs. What’s more, with around $1.3 billion in state and Commonwealth funding committed for road infrastructure upgrades in the Mackay region from now to 2022, the transport corridors between the port, Mackay region, Central Highlands and the Whitsundays will become significantly more efficient. For Abbot Point and Hay Point port and Bowen businesses, the port offers a competitive importation and exportation cost option. Its prime location also makes it one of the major servicing centres for the mines in the Bowen and Galilee coal basins. The port boasts around 21 hectares of land within the port secure area and 26 hectares outside the port secure area. Varying levels of hardstand (concrete to grassed) are available for laydown purposes or can be developed at short notice. Transport links for the Port of Mackay include sea, road and rail. Transport studies show that the port offers a competitive cost option for road transportation of break-bulk cargo to and from mines in the northern Bowen and Galilee coal basins, making it a port choice of call for such cargoes compared to other Queensland ports. The port is also well-serviced by third party providers, including heavy haulage transport trucking and crane firms that specialise in handling break-bulk cargo. Our growth strategy embraces a multicommodity focus that aims to capitalise on our common user marine facilities, large areas of available land and ready access to major freight networks. We continue to concentrate on ensuring that future port planning and initiatives are developed that will allow the Port of Mackay to realise its full potential. We’ve identified vacant land adjacent to the rail lines as potential sites with strategic value for future development. We continue to explore new opportunities to increase trade through the port, with a focus on break-bulk cargo associated with the significant regional coal mining and agricultural industries. We’re also looking at opportunities for Pacific Island nation trade in conjunction with Austrade and Trade and Investment Queensland. In recent years, the Port of Mackay has enjoyed over $200m of investment from the private and public sectors, which helps underpin the port’s flexibility, capacity and capability to attract increases in regional trade. We’ve taken a proactive and strategic approach to infrastructure improvements, which has enabled us to cater for increased break-bulk cargo trade. We’ll continue to work with our stakeholders to improve port assets and operations that facilitate trade, while highlighting the substantial business opportunities on offer. We’re continuing to work with the relevant government bodies to increase the height for the heavy vehicle OSOM freight transport corridor involving the Port of Mackay, the Paget METS industrial precinct and the regional coal mining areas. In assessing our road network at the port, we’ve identified potential productivity improvement initiatives to increase the attractiveness of the port to existing and potential port tenants and users, and we’ll continue to pursue these going forward. With ongoing maintenance and capital works in the pipeline for the Port of Mackay, we’ll continue to invest in our region’s future. The works will unlock the port’s ability to attract new trade and increase ship numbers to the region, as well as to improve safety, efficiency, and flexibility of port operations. Among our next steps are upgrades to wharf fendering systems, roadworks improvements, removal of redundant marine infrastructure and installation of new leadlights for marine pilotage. This recent work and highlighted future improvements will unlock the untapped potential of the port. The message is clear: the Port of Mackay is open and ready for your business!